Any business, regardless of its size and type, needs capital to run. This money isn't just needed for long-term operations, but also for the business' day-to-day needs. For instance, a restaurant may need a certain amount of cash daily to pay for ingredients. Similarly, employees also need to be paid on a monthly basis. With money being essential for the working of any business, it's imperative to keep track of the cash's inflow and outflow. There are many apps that can help you keep tabs on the expenses incurred by your business. These include many features such as automatic generation of invoices from receipts and direct reimbursements to employees. Here's our round-up of the best business expense tracker apps. Read all about the features they offer and find out which one's the best for you. Having a vast array of features and extensive automation capabilities, Expensify is easily the best expense tracker app that you can use for your business. It's hardly a wonder that it's been endorsed by organizations such as the AICPA. 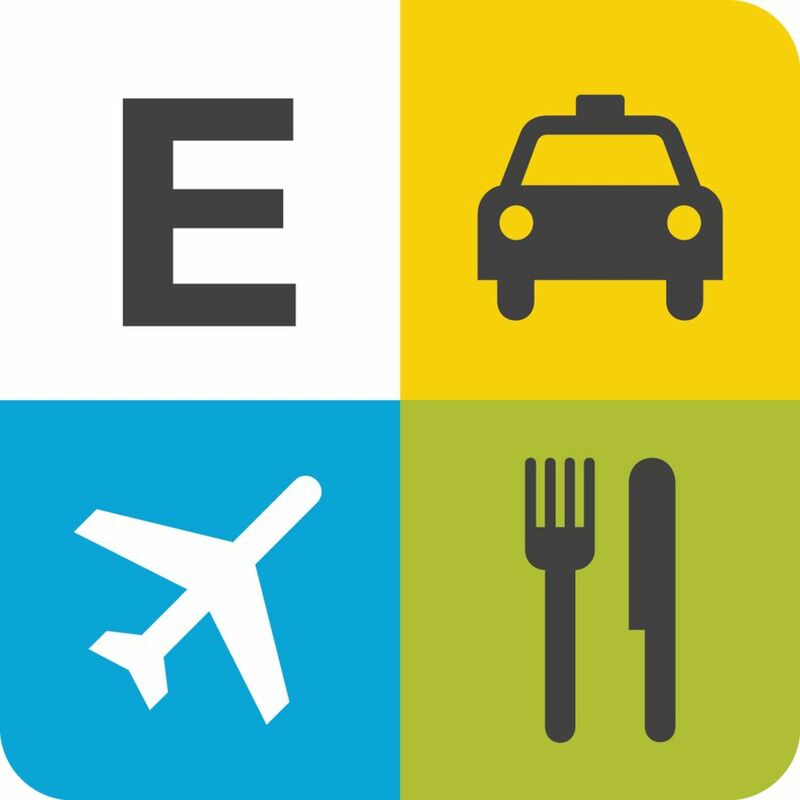 From expense report management to tracking receipts, Expensify can do everything. Its patented SmartScan technology eliminates manual data entry and makes it extremely simple to keep track of receipts, even on the move. The app can automatically record, report and submit expenses to generate real-time reports. You can simply capture a picture of the receipt and details such as merchant, date and price are automatically coded for faster reimbursement. You get real-time travel notifications for upcoming trips, delayed flights, etc., and any changes to the itinerary are directly sent to your mobile device. Mileage tracking is included in the mix as well. Expensify supports corporate card reconciliation, next-day direct deposit reimbursement and per diem functionality. It also has accounting integrations with services such as QuickBooks, Xero and NetSuite. Zoho's business tools and IT solutions are among the best out there, and Zoho Expense is no exception. If you want an expense management solution that allows effortless expense tracking and quick approvals, Zoho Expense is exactly what you need. Using Zoho Expense, you can easily store digital copies of receipts and record expenses as they happen. The app lets you pin receipts to reports, sort expenses by category and add additional data fields. Thanks to built-in GPS tracker and Maps, Zoho Expense can easily log mileage overheads for everyday trips. This makes the app perfect for employees who have to travel a lot due to work. You can connect your credit card(s) to the app for automatic importing and management of transactions. Expenses can be batched together and sent to approving manager(s) via e-mail. It's possible to create per diem rates for employees and multiple currencies are supported. Enhanced analytics let you track excessive spending and keep policy violations in check. Zoho Expense lets you add record information even offline. The changes are synchronized whenever there is network connectivity. The app is an extension of the Zoho Expense web application and thus works best in conjunction with it. From mileage tracking to real-time analysis of expenses, Rydoo has a whole laundry list of features. However, what truly makes it stand apart from the crowd is its integration with other software, which makes the migration to/from different platforms a breeze. Rydoo Expense lets you submit expenses on the go. Reports can be sent by e-mail, captured through a camera and even submitted via external services such as Dropbox and Evernote. The app can automatically create expenses when scanning receipts, and you only have to add the extra information like project and payment method. Rydoo can analyze credit card statements to match expenses with transactions. You can add approvers, controllers and CFOs for a secure approval flow. Detailed compliance rules can be set for employees for a more accurate expense management. As mentioned earlier, Rydoo Expense's biggest strength is its integration with other apps. The app features seamless integration with ERP packages such as SAP, Oracle, Microsoft Dynamics & Navision, JD Edwards and Netsuite. It's also super easy to migrate to Rydoo from other expense management/tracker systems, including Expensify and Concur. When it comes to accounting software programs, QuickBooks is a name that needs no introduction. It lets you create comprehensive invoices, manage cash flow, keep track of profit and loss and more. The best thing is that you don't have to be an accounting expert in order to take advantage of all the features that QuickBooks has to offer. QuickBooks' invoice generator makes it easy to track sent invoices even if they are in multiple currencies. Once you connect your bank account with the app, you can keep a close look at the profits and losses of your business. Bank transactions can be reviewed and added to accounting records. QuickBooks lets you customize your invoices and sales receipts with your organization's logo, and you can better prepare for all the necessary tax deductions by providing your accountant access to the account. Support for more than 80 apps - including everything from inventory management systems to customer relationship management solutions - allows you to enhance the functionality of the app even further. The standout feature of QuickBooks has to be its advanced bill management tool(s). It lets you set up recurring bills and keep a record of bills you've paid by check. It's also possible to set up vendors, control expenses incurred and pay multiple vendors/bills at the same time. QuickBooks can be integrated with third-party payment solutions such as PayPal, Bill.com and Apple Pay. Whether it's for meeting with a prospective client, providing an on-site demonstration of products or anything else, business often requires employees) to get out of the office and travel (both within the country and internationally) on a frequent basis. So it's very important to properly keep track of all the expenses incurred during these travels. And SAP Concur is perfect for the job. A companion app for Concur solutions, SAP Concur is the best travel expense management app out there. It lets you book business flights and approve travel invoices, anytime and anywhere. You can use the app to quickly review/approve reports and travel requests, add attendees to business meetings or meals, as well as access and manage your entire itinerary on the road. Data can be directly imported from credit cards, and flights/cabs/hotels booked from anywhere. Based on ​an estimated travel budget, you can get customized hotel suggestions and itemized charges. It's also possible to integrate your itinerary with the TripIt app for better management of travels. From travel to accommodation, employees incur expenses on a lot of different things. Getting these expenses reimbursed is a tedious process, often involving sending multiple invoices and waiting for them to be approved. This is where Abacus comes into the picture, speeding up the whole process. Abacus provides an easy way to reimburse your team, reconcile corporate credit cards and implement expense policy. The app drafts expenses from reliable data sources such as receipts, card transactions, past behavior, CRM fields and geolocation, ensuring that the records are complete and accurate. What truly gives Abacus the edge is its ability to automate expense policy and approval hierarchy. Policy rules are applied to expenses before they are submitted, preventing any violations. Custom routing rules then send the expense to the best-matched approver. Once an expense has been approved, Abacus handles the reimbursement and direct deposits into the employee's bank account. You can sync expenses into accounting software using either cash or accrual method, and custom analysis reports help you identify trends and manage budgets more effectively. If you own a small business, there's absolutely no need to use a complicated expense tracking solution. In fact, just digitizing and organizing all the receipts can help you manage everything. And nothing does that better than Shoeboxed. Shoeboxed lets you track receipts, mileage and even business cards, without needing any manual data-entry operations. Just click a picture of the receipt and the app extracts all the information from it. Receipts can be sorted into common tax categories and instantly archived. The app supports one-click mileage tracking and lets you e-mail generated expense reports in seconds. Expenses can be further exported to other solutions such as QuickBooks, Wave Accounting, Excel, Outright and Xero. The most interesting thing about Shoeboxed is that converted reports are verified by humans for maximum accuracy. You can simply mail (in a "Magic Envelope") all your receipts and other paperwork to Shoeboxed, and they'll digitize and organize them for you. That said, you need to subscribe to one of Shoeboxed's upper-tier plans — Classic and Business — in order to avail the service.